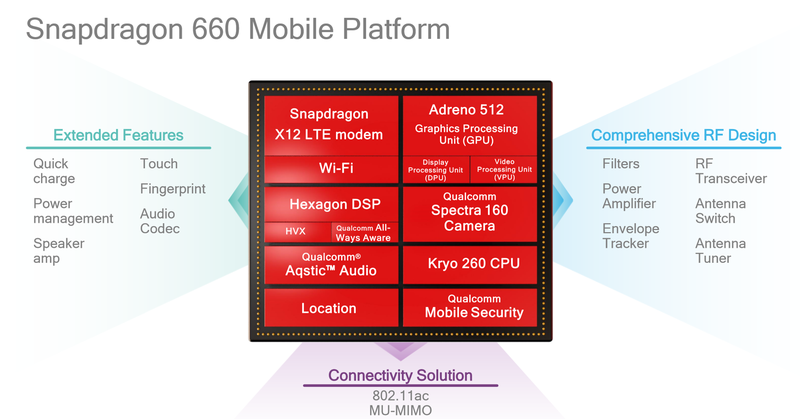 Counterpoint Analysts participated at Qualcomm’s latest launch events for its Snapdragon 600 platform’s latest solutions 660 and 630 at Snapdragon Tech Day in Singapore as well as at the launch event in Beijing. The launch timing and the features of these platforms are important as these bring flagship-grade experiences at relatively affordable price-points. 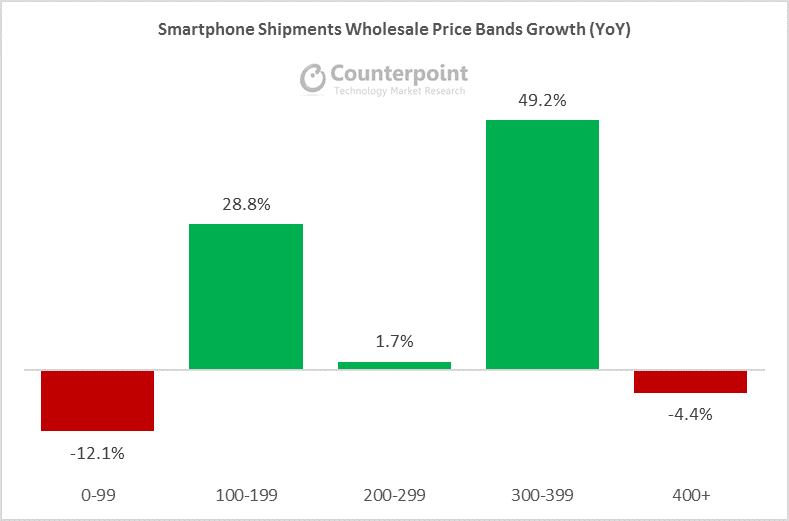 This is important because $250 to $399 wholesale price bands has been the fastest growing price segment globally recently (see here). While the combinations of (Bill of Materials) BoM costs across brands can vary, but the Snapdragon 660/630 will be featured in devices crafting advanced experiences in the price range of US$300 to US$500 retail price points. As a result, depending on the OEM and its Bill of Materials (BoM) strategy, we are seeing powerful smartphone specs and experiences between $250 to $400 wholesale price segments. 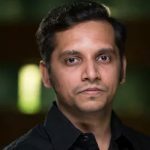 In summary this is a very powerful platform for Qualcomm to drive the overall growth and offset some de-growth in the premium segment lately as key brands in premium-tier (such as Apple, Samsung and Huawei) become more vertical integrated adopting their in-house or a mix of competing solutions. This also means it will put immense pressure on MediaTek to push it down further to mid0tier segment a strong blow to Helio lineup. 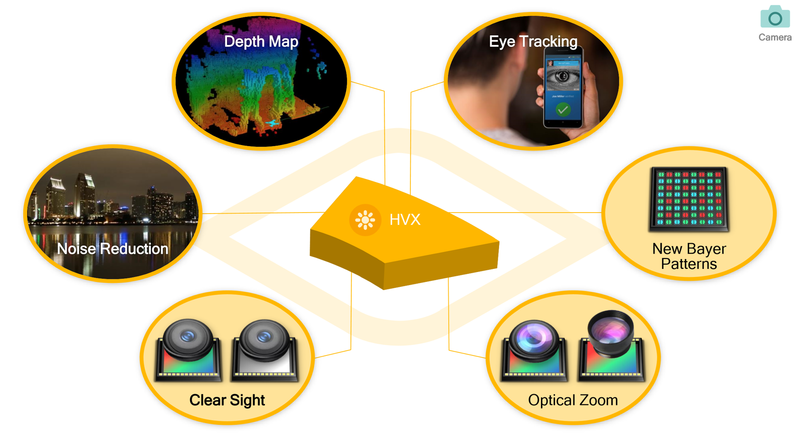 This will also make it difficult for likes of Huawei and Samsung to compete with Qualcomm with their own solutions especially in mid- to high-tier segments. We believe Oppo, Vivo, Xiaomi, LG and others will remain the key brands to adopt and drive this latest platform in volumes.